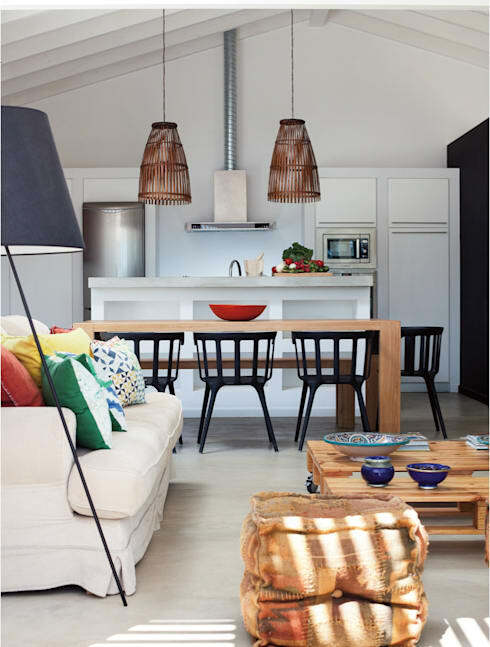 The homify feature today looks at 7 sensational small homes, that are small in stature but big on style. They are simple, yet luxurious and elegant, with nothing forgotten, from the chic design to the brilliant detail. 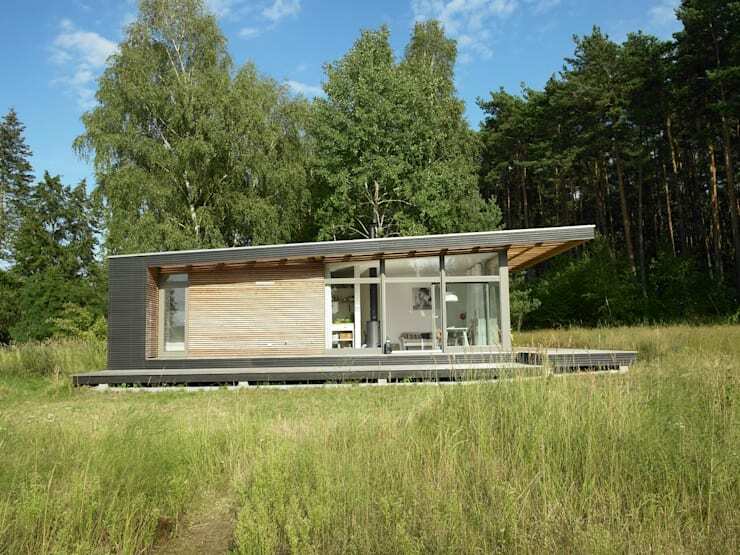 The structures are comfortable enough for modern living yet beautiful and comfortable. 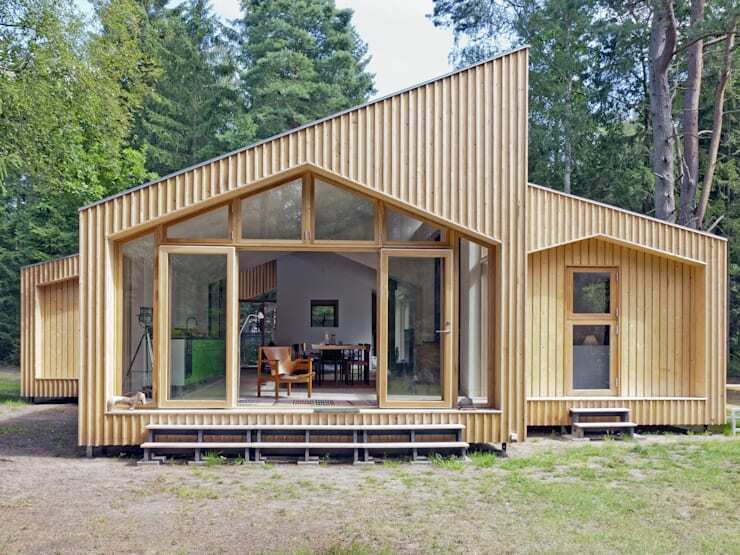 The architects of these diverse compact living spaces have created something for everybody, so whether you like the cabin in the woods appeal or something a bit more modern, you’re sure to find a home you admire. The petite timber house featured here is located in a field, but its unique roof design and cosy appeal are what makes it attractive and eye-catching. It's like a contemporary cabin surrounded by fantastic greenery. This wooden home is simple and elegant, but still allows for a traditional architecture style that displays modernity and natural light. The modular structure has an inviting charm, don't you think? 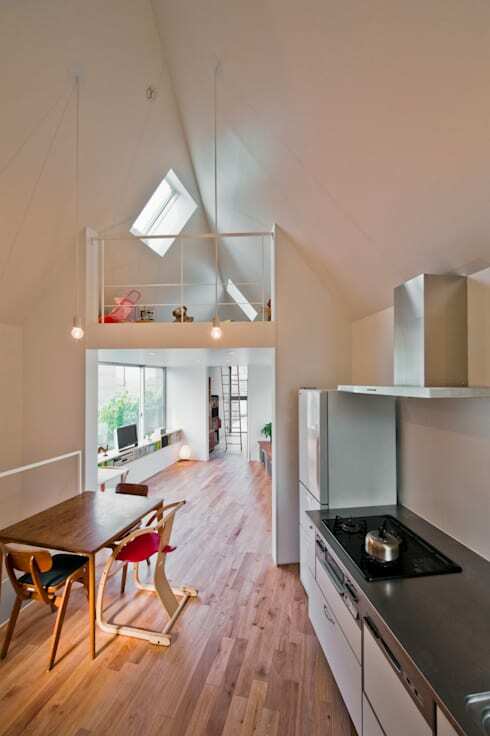 The interior of this tiny home has minimalist detail, neutral colours and plenty of light. From this perspective we catch a glimpse of the mezzanine level which serves as a bedroom, showing privacy is therefore not forgotten in this house. 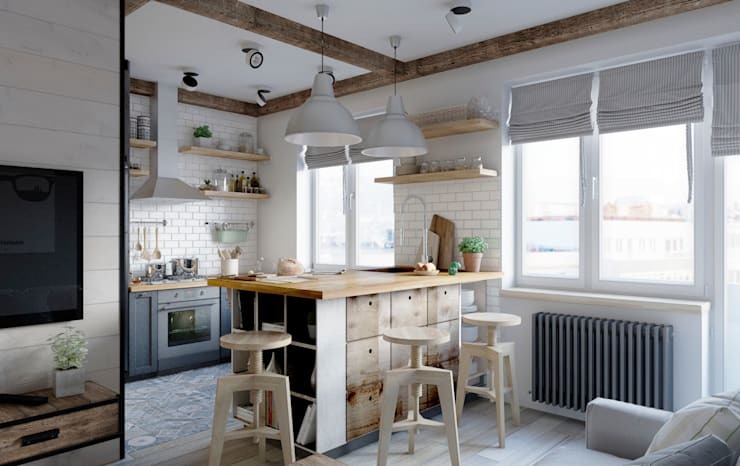 The rustic kitchen of this home is a great choice to enhance cosiness and comfort. The wooden countertops and kitchen island is warm and inviting, while the walls are industrial inspired yet so vibrant too. Modern décor, means less is more. So an uncluttered and comfortable interior with all-white walls and cosy colour scheme may be the perfect addition to your home. 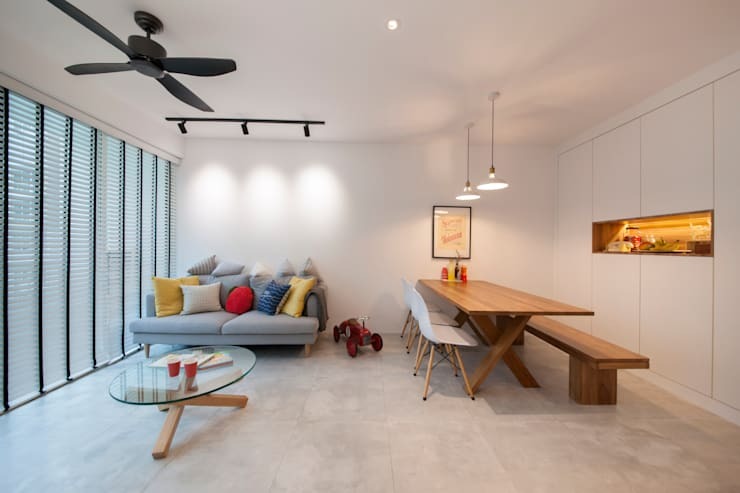 The open plan living space is functional, with a wooden dining table and simple sofa and glass coffee making up the furniture. If you like the idea of a having a daring décor, then the eclectic is probably what you’re after. The combination of the neutral colour sofa and vibrant scatter cushions along with the black chairs and wooden table is a great choice for a dynamic yet sober design. Just because your home is compact, doesn’t mean you shouldn’t consider the possibilities of design based on the features of the interior. 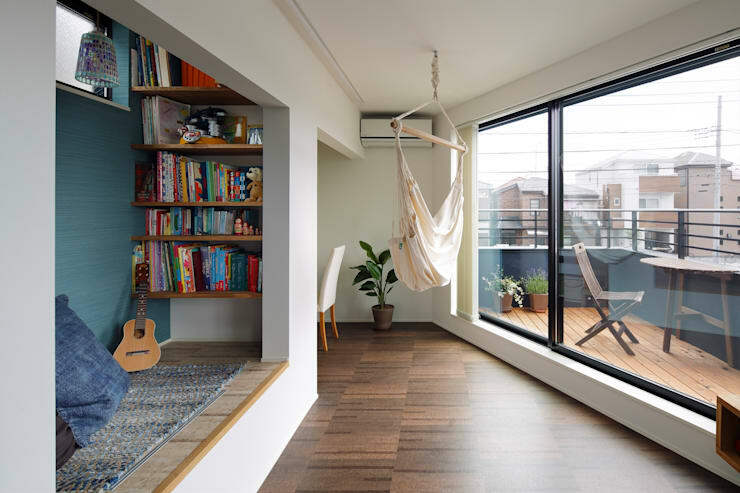 Work with what you have, so in this case a lovely large window that welcomes natural light and fresh air may just be your key décor factor for an even more beautiful home. These: 14 fabulous (and affordable) ideas for decorating your home with bricks will amaze you! Which of these homes are your favourite?